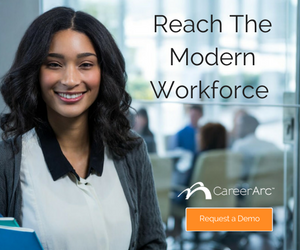 We are thrilled to join an esteemed list Stevie Award finalists which this year include IBM, Intuit, Dell Technologies, Zappos, and more. View the complete list of finalists. Over 2,700 nominations were evaluated in this year’s awards program judged by more than 150 professionals from 45 different countries. Stevie Award Winners’ final standings will be announced on February 22, 2019 at the Stevie Awards banquet in Las Vegas, NV. 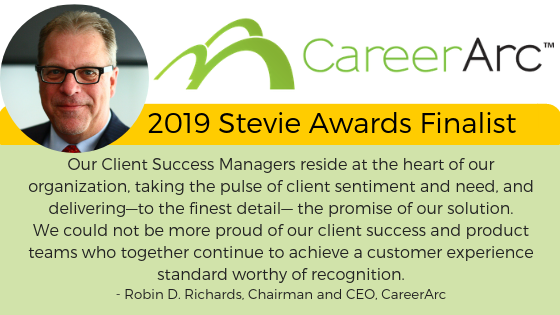 CareerArc has been named a finalist in the 13th annual Stevie® Awards for Sales & Customer Service, marking the company's fourth consecutive year as Stevie Winners.